Don't miss the seventh annual NYC/CUNY Chapbook Festival taking place Tuesday, March 31st, through Thursday, April 2nd. The Chapbook Festival celebrates the chapbook as a work of art and as a medium for alternative and emerging writers and publishers. Located at venues throughout the city, the festival features a day long book fair with over 60 publishers from around the country, and includes exhibitions, workshops, installations, demonstrations, chapbook releases, and readings by prize-winning Chapbook Fellows. For this Small Press Spotlight, we are so pleased to feature an interview with Krystal Languell, Jennifer Firestone and Saretta Morgan at Belladonna*, a small press whose mission is to "promote the work of women writers who are adventurous, experimental, politically involved, multi-form, multicultural, multi-gendered, impossible to define, delicious to talk about, unpredictable and dangerous with language." We would like to thank Julia and the Belladonna* team for the interview and hope you will come visit our small press section at our 112th St. location, showcasing unique publications from Belladonna* as well as many other presses locally based in New York City. 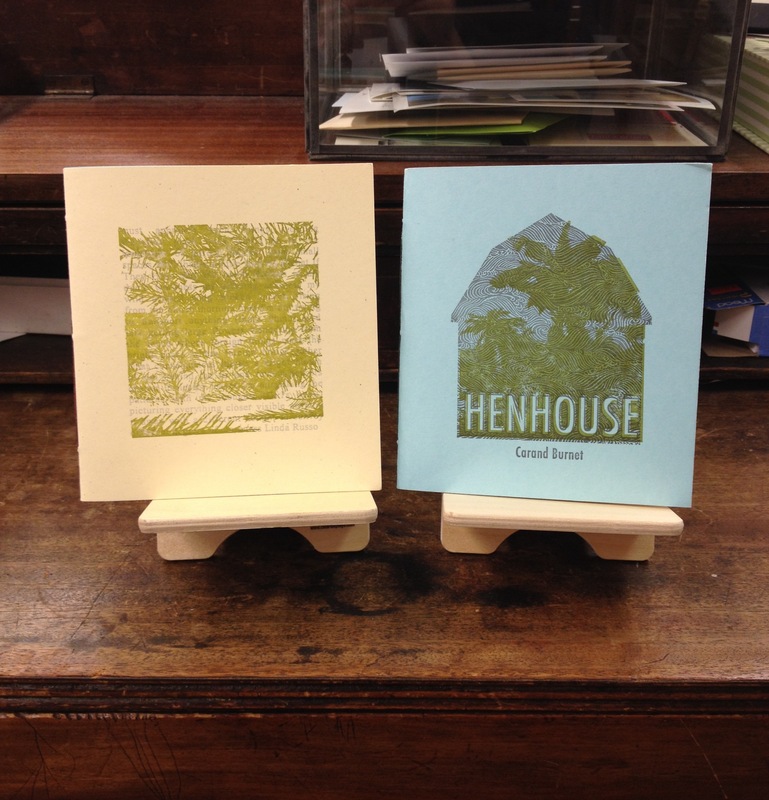 For this Small Press Spotlight, we are featuring an interview with the three editors of Projective Industries, a small press that publishes beautifully designed, handmade letterpressed chapbooks. We would like to thank the editors for the interview and hope you will come visit our small press table, showcasing unique publications from Projective Industries as well as many other presses locally based in New York City. Saturday, 2/28/2015, 12–4 p.m. at the Hudson Valley Writers Center!